Drum machines were played via a DK-10 percussion pad. With the news breaking that LCD Soundsystem will release their third full-length studio album on 17 May, it seems entirely appropriate that SampleRadar's offering to you this week is a collection of James Murphy-inspired lo-fi punk disco samples. Synths, drums, guitars and basses are all awaiting your attention and, as always, they're royalty-free. The samples are split into 7 folders, six of which contain construction kits, and one of which contains beats at various tempi. As well as loops, there are also some drum hits. 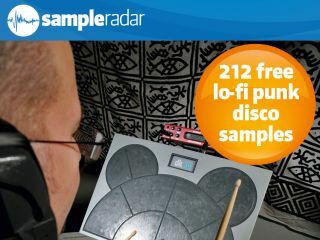 The lo-fi-punk disco samples are supplied in a zip file, so you'll need to extract them before you can see them. Enjoy!